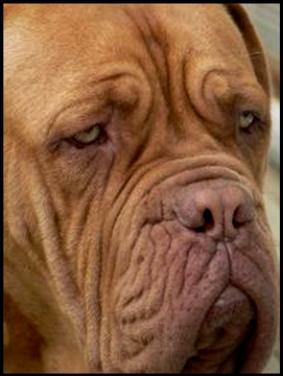 _Welcome to Australia’s home for the Dogue de Bordeaux lover. 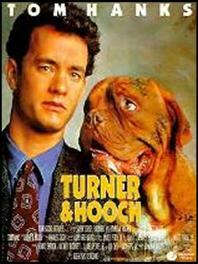 Like many of us, you may have fallen in love with the breed due to the Tom Hanks movie, Turner and Hooch. And recently in the Southern Hemisphere, they have also become known as the Olympus Camera dog due to their advertising campaign featuring a slobbery dogue. This website has been created as a resource of information for potential puppy buyers and owners, providing details on the breed and what to look for in a breeder. We always encourage puppy buyers to do the necessary research to ensure that the puppy and breeder are right for you. Select the dogues that you like and the breeder that you feel comfortable with. A little planning and research now may save you a lifetime of heartache and a bank load of expenses later on, if something does go wrong. Hubert, one of our beautiful rescued dogues.